Under the Camera Menu, Set the view to Parallel Projection; notice that you've now provided straight-on view for your plan. Next, under Window, select the Scenes console. 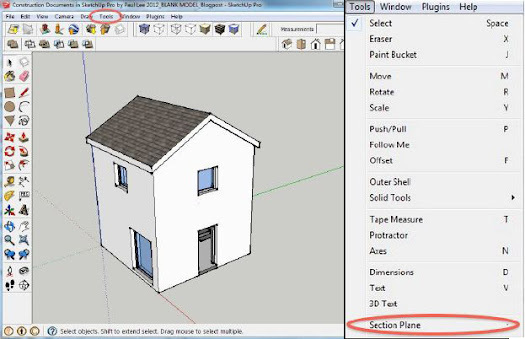 (Tip: you can hide the Section Plane itself in your LayOut document by opening the Styles window in SketchUp, and editing the default style of your scene to hide the section plane). Now click on the “+” button and create a scene called “PLAN”. Open LayOut and access your SketchUp model by selecting File > Insert. 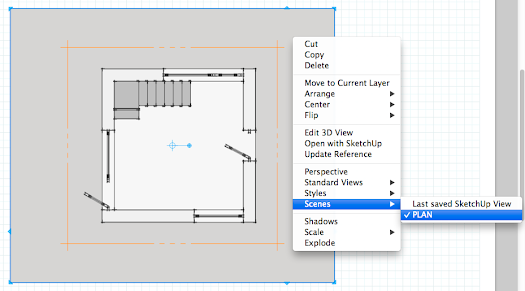 From here, simply right-click on the SketchUp window and select Scenes: “PLAN”. Then right-click and go to Scale = 1mm:50mm. Your scaled plan is now finished in LayOut, and you're all set to start dimensioning and annotating the important details. This tutorial is based on techniques found in Paul's new book “Construction Documents using SketchUp Pro & LayOut” available here from SketchUcation and also on the Viewsion Authorized Training Center website. Please activate the subscription by email, on feedburner. A good post, it gives a proper explanation about the building lay-out. Definitely this would help the beginners who wants to learn building layout. Thanks for the Interesting stuff. Great Blog. Hey Andrew, thanks for your comments. 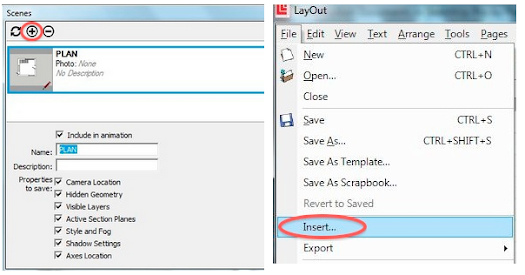 Here is the link to a PDF document showing construction documentation from LayOut to PDF. When colour and shadow settings are available the emphasis on lineweight changes. However, don't forget that there are three lineweights available using SU-LO (same as generally used in CAD), except with the availability of colour and shadow you now have more opportunity for differentation.